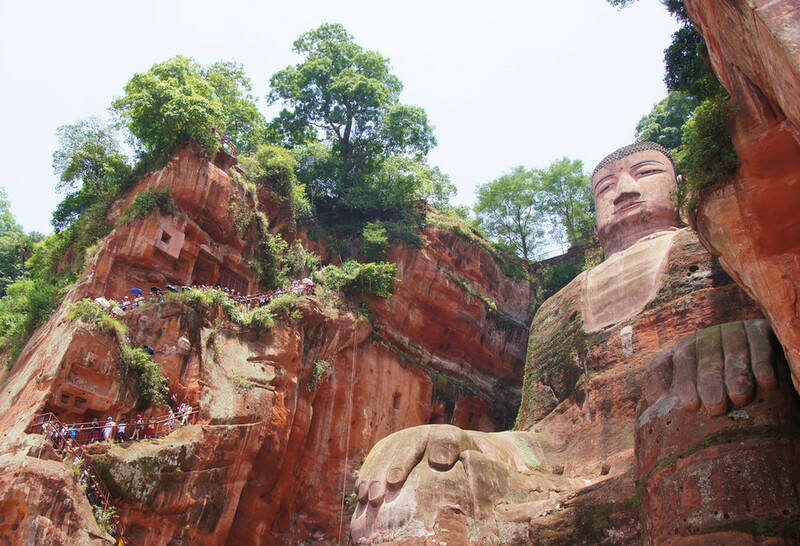 The first Buddhist temple in China was built in the 1st century A.D. in the beautiful surroundings of Mount Emei from where Buddhism first spread across China. 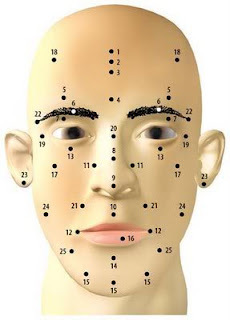 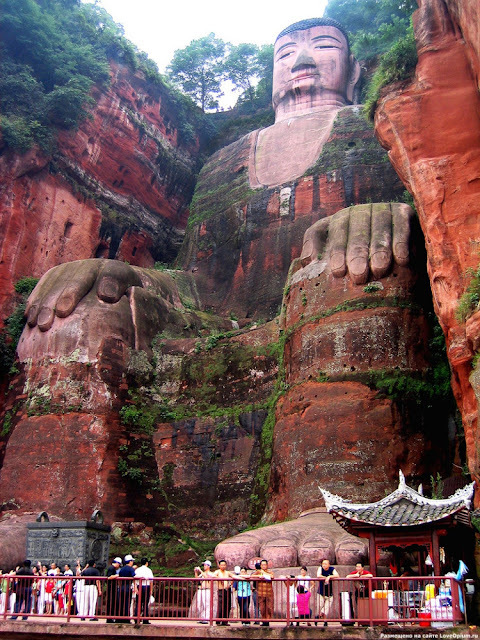 As other temples accumulated the site became the westernmost of China’s four holiest Buddhist mountains. 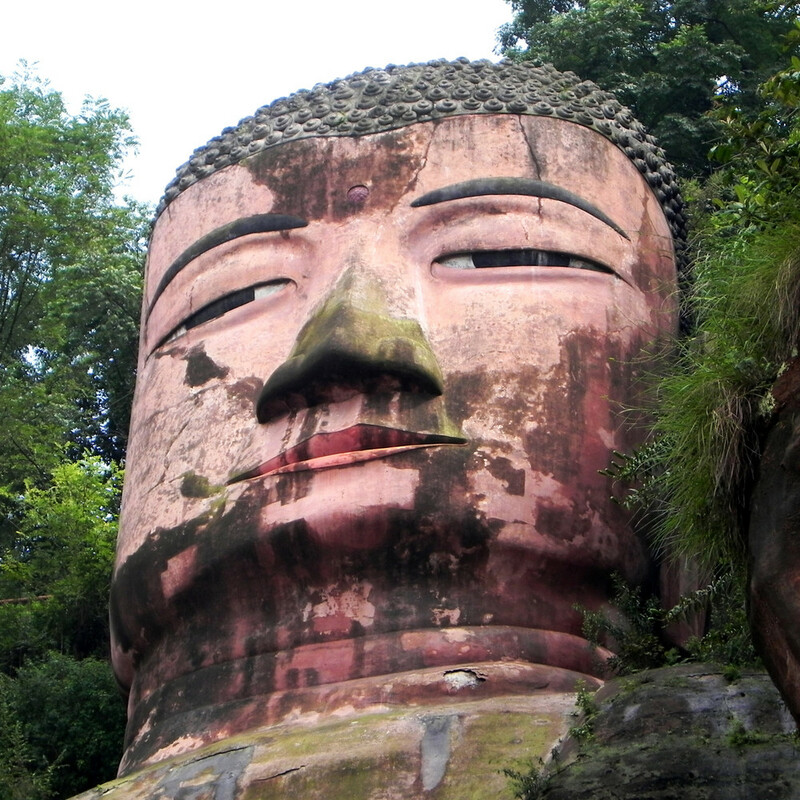 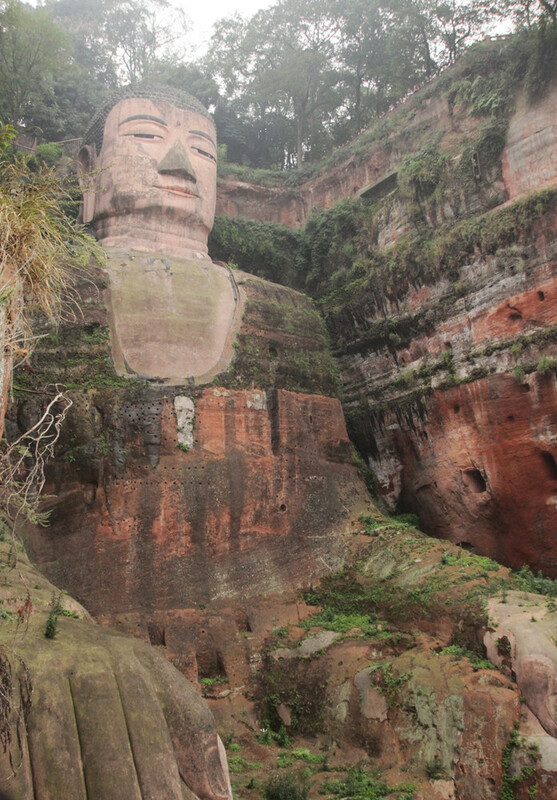 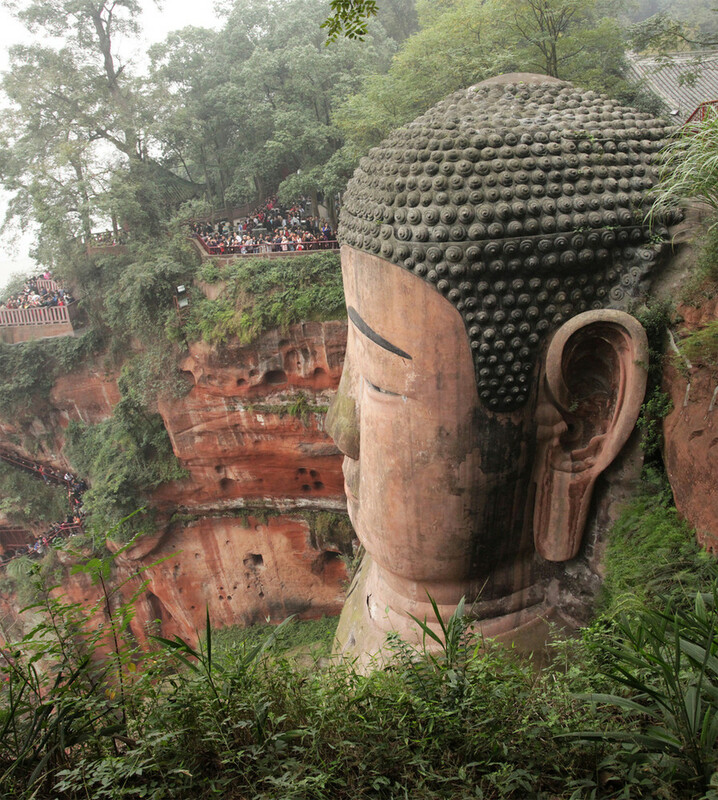 The most remarkable structure is the Giant Buddha of Leshan at Sichuan, 35 kilometres away, carved in the 8th century out of a mountain cliff over looking the confluence of three rivers. 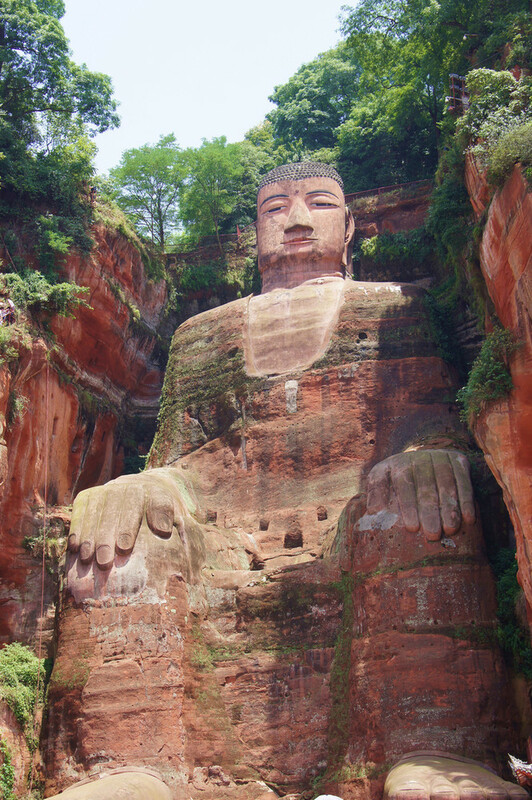 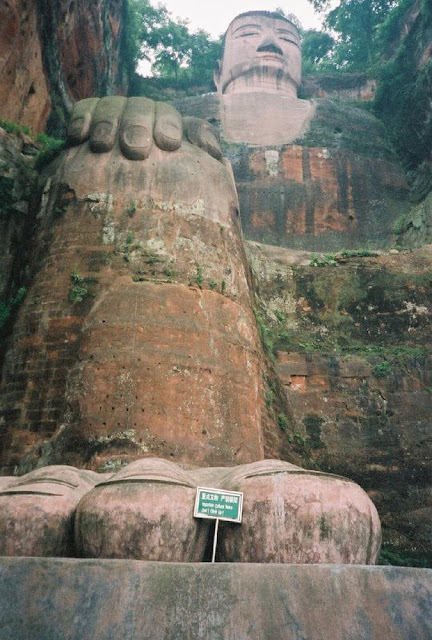 At 71m high, it is the largest carved stone Buddha in the world. 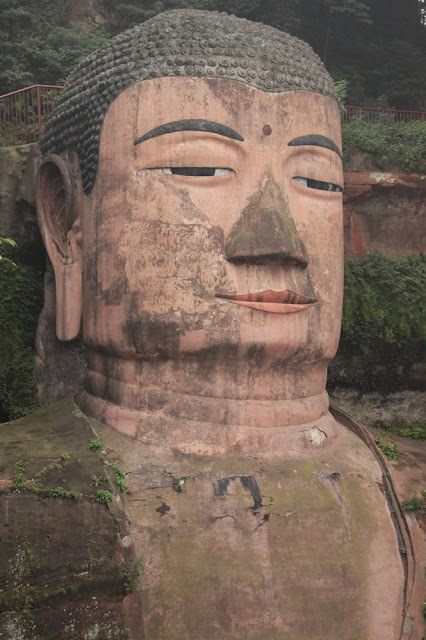 Mount Emei is also notable for its exceptionally diverse vegetation and large number of endemic species ranging from subtropical to subalpine forests. Some of the trees are more than 1,000 years old.